To receive calls on your phone you pay our low call rates E.g. If you’re in Spain and your family call you from the United States, you pay our Spanish rates for the duration of the call. There's a small monthly rental charge and a one-off set up cost. Plus you can cancel at any time. 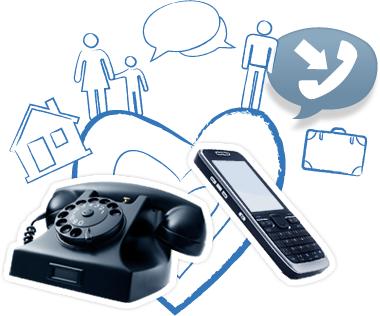 Use an Incoming Number to receive calls on your own VoIP device. Get free credit by recommending your friends Recommend a friend and get 10% of all the call credit they add in the next 90 days. Susie earned £6 of call credit when she recommended her two friends. That’s 1500 extra minutes to call home in the US from London.